BLOOMFIELD, Conn.--(BUSINESS WIRE)--Global health service company Cigna is collaborating with Annum Health to offer an innovative, digital health support solution to help people reduce alcohol consumption. Cigna is the first health service company to pilot Annum Health’s private coaching and clinician-led support program with employer clients. Annum program participants will use a digital app and have a personal support team comprised of health coaches, physicians and licensed therapists to help each individual meet their goals. Through the year-long program, participants are able to address risky alcohol consumption and become empowered to make sustainable changes to drinking habits. In addition, Annum will work with Cigna and its employer clients to design culturally-appropriate awareness campaigns to encourage anonymous self-identification and engagement. The Annum program could add to Cigna’s suite of services available to help people reduce alcohol consumption after evaluation of the pilot results. As part of this program, participants are encouraged to use their information to have an open and honest conversation with their health care provider about how their drinking may be impacting their health. People who have concerns about their drinking or with alcohol dependence should consult their doctor or health care provider to determine the best course of treatment and support tools. All personal health information is protected under HIPAA and participants’ individual information from the program is never shared with their employer. To learn more about Annum’s digital health support solution, visit www.annum.com. Cigna Corporation (NYSE: CI) is a global health service company dedicated to helping people improve their health, well-being and sense of security. All products and services are provided exclusively by or through operating subsidiaries of Cigna Corporation, including Cigna Health and Life Insurance Company, Connecticut General Life Insurance Company, Life Insurance Company of North America, Cigna Life Insurance Company of New York or their affiliates. Such products and services include an integrated suite of health services, such as medical, dental, behavioral health, pharmacy, vision, supplemental benefits, and other related products including group life, accident and disability insurance. Cigna maintains sales capability in over 30 countries and jurisdictions, and has more than 95 million customer relationships throughout the world. To learn more about Cigna®, including links to follow us on Facebook or Twitter, visit www.cigna.com. For more information about Cigna's proposed acquisition of Express Scripts, please visit www.advancinghealthcare.com. Annum Health provides evidence-based support to reduce or eliminate alcohol consumption while addressing the profound barriers to care that prevent 90% of people struggling with Alcohol Use Disorder from ever seeking help.7 According to the Centers for Disease Control, 70 million adults engage in excessive drinking behavior – almost three quarters of whom are employed – resulting in $82 billion of lost productivity each year. 8 Annum’s confidential, teletherapy program provides individuals seeking to quit drinking or moderate their consumption with up to a year of clinician-led care, coaching, and social support. The program is offered nationally through select health plans and large employers. 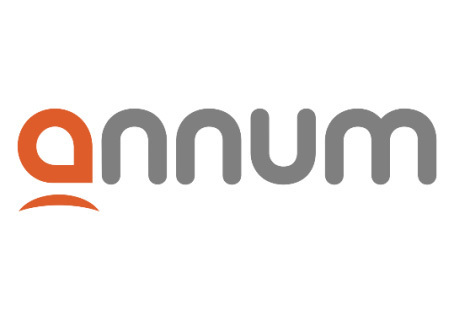 To learn more about Annum, please visit, www.annum.com.